Be classified as a “Public Charity” with tax-exempt status under Section 501(c)(3) of the Internal Revenue Code for a minimum of 36 months prior to applying for the grant. Be headquartered and operate in the city of Chicago. Report total revenues for the last full fiscal year between $750,000 and $8 million. Independently file an IRS Form 990 and be independently audited. 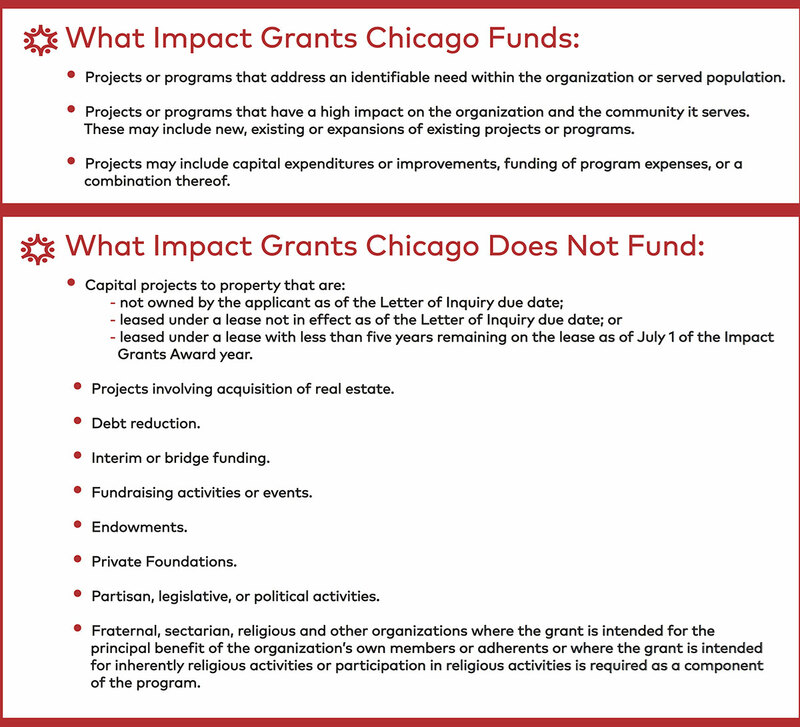 *Please Note: Previous recipients of Impact 100 Chicago’s $100,000 grants awarded in the years 2016 and 2017 may not apply for an Impact Grants Chicago grant for a period of three years after the grant was awarded.